… in the catering world. They look professional. 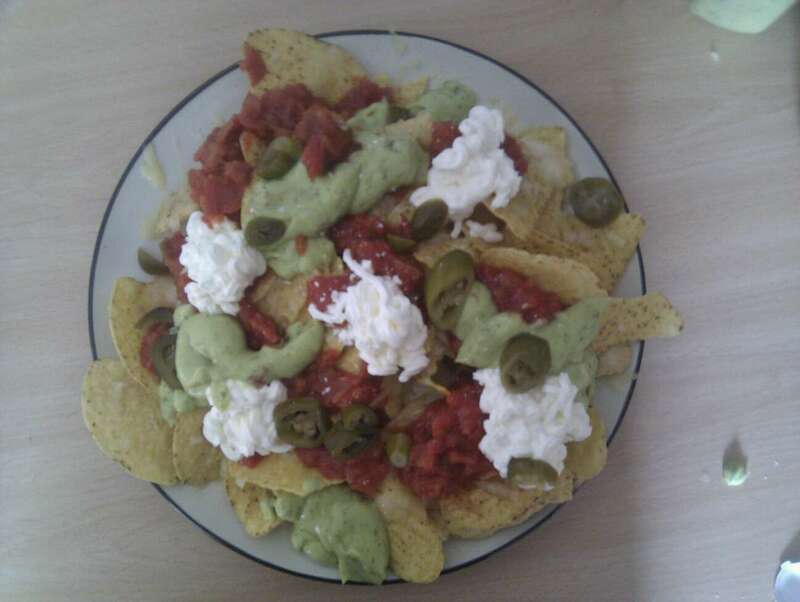 Or rather, they don’t, because in the UK professional nachos tend to look like hell. So why do these work so well? A gracious amount of relish. Enough jalapenos to give the whole shebang a bit of a, y’know, bang, without going OTT. Naz, Nacho Times salutes you. And implores you to become a chef in most of the places reviewed on this site. This entry was posted in Candid Chos and tagged composition, nachoists by 5tevie. Bookmark the permalink.